I read this morning that it is national Face Your Fears day. 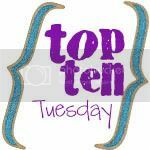 So my top 10 for today are my top ten fears. 9. I fear not being liked. 7. I am afraid of failing as a mother. There are many ways I could really fail as a mother. I don't want to mess up my children and their chances in the future. 6. Dying before my children are grown. 5. Watching my children die. 4. I fear not being liked. 3. The inevitable weakening of my earthen vessel. 2. Having another car accident. 1. That my husband would ever say to me "I don't love you anymore" I seriously doubt this would ever happen, I have a really great guy. But so many of our fears are such silly, unfounded things, right? Hi Kay! I just awarded you the Versatile Blogger Award! I hope you'll join in on the fun!